Google is an excellent search engine. The company does its best to present users with relevant information wherever it can. With a reel of popular torrent sites, for example, when users search for it. Or a handy overview of streaming sites such as Netflix, Hulu, Putlocker and Movie4k.to. Whether Hollywood will appreciate this service doubtful though. With torrent sites dropping like flies recently, a lot of people are looking for alternatives. For many, Google is the preferred choice to find them, and the search engine is actually quite helpful. When you type in “best torrent sites” or just “torrent sites,” Google.com provides a fancy reel of several high traffic indexers. 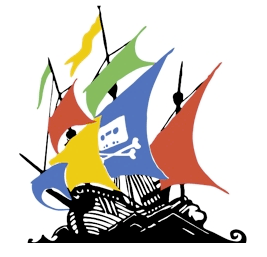 The search engine displays the names of sites such as RARBG, The Pirate Bay and 1337x as well as their logo. When you click on this link, Google brings up all results for the associated term. While it’s a thought provoking idea to think that Google employees are manually curating the list, the entire process is likely automated. Still, many casual torrent users might find it quite handy. Whether rightsholders will be equally excited is another question though. The automated nature of this type of search result display also creates another problem. While many people know that most torrent sites offer pirated content, this is quite different with streaming portals. The screenshot below shows the pirate streaming site Putlocker next to Hulu and Crackle. The same lineup also rotates various other pirate sites such as Alluc and Movie4k.to. The reels in question are most likely generated by algorithms, which don’t distinguish between authorized and unauthorized sources. Still, given the repeated criticism Hollywood has for Google for its supposed facilitation of piracy, it’s a bit unfortunate, to say the least. This isn’t the first time that Google’s “rich” search results have featured pirate sites. The same happened in the past when the search engine displayed pirate site ratings of movies, next to ratings from regular review sites such as IMDb and Rotten Tomatoes. We can expect the MPAA and others to take note, and bring these and other issues up at their convenience. Note: the search reel doesn’t appear on many localized Google domains. We tested and confirmed it only on Google.com.